Q. What is the Camp Greenbrier mission statement? A. 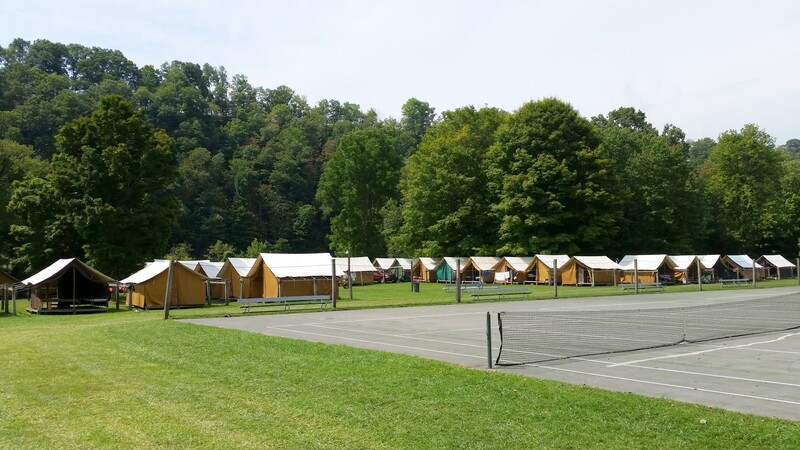 It is the mission of Camp Greenbrier to provide campers with a safe, positive environment where they can have fun, gain independence, improve their self-confidence, and learn to live unselfishly with others. Q. How old are the campers? A. The campers in the boys camp range in age from 7 to 15 years old. 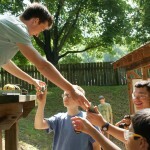 Participants in the Leadership Academy are 16 to 17 years old or have completed the 10th grade. Q. How many campers are there in each session? A. There are 140 campers in each session. Q. What is the ratio of counselors to campers? A. 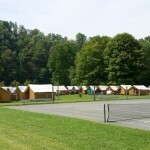 Generally, there is a counselor in each tent with three campers. In a few cases, there may be four campers in a tent with a counselor. Also, some fifteen year old campers may be in an honor tent, without a counselor. Q. Tell me about the counselors. A. Most of the counselors are college students. Many of them grew up as campers at Greenbrier. The rest have been referred by friends of Greenbrier, or are international staff who have come to Camp through a long-running cultural exchange program. The counselors go through an intensive week long orientation prior to the arrival of the campers. Q. What are the medical accommodations? A. A doctor or a registered nurse is on site 24 hours a day to care for campers and staff. The local physician’s office is 1/4 mile from camp, emergency services are 2 miles away, and the local hospital is 13 miles from camp. It is your responsibility to provide medical insurance for your son. We do not provide accident insurance or prescription medicines. In the event there is a need for either, the local hospital or drug store will bill you for services, which your own medical insurance may cover. Our medical staff handles routine treatments and the giving of daily medication. A health form will be sent to parents with our mid-April mailing. Q. How structured is the camper's day? A. 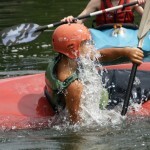 Each week, campers get to choose their own activities for that week’s morning classes. During the afternoons, campers can choose a caving or rock climbing trip, participate in team sports, or make other individual activity choices. 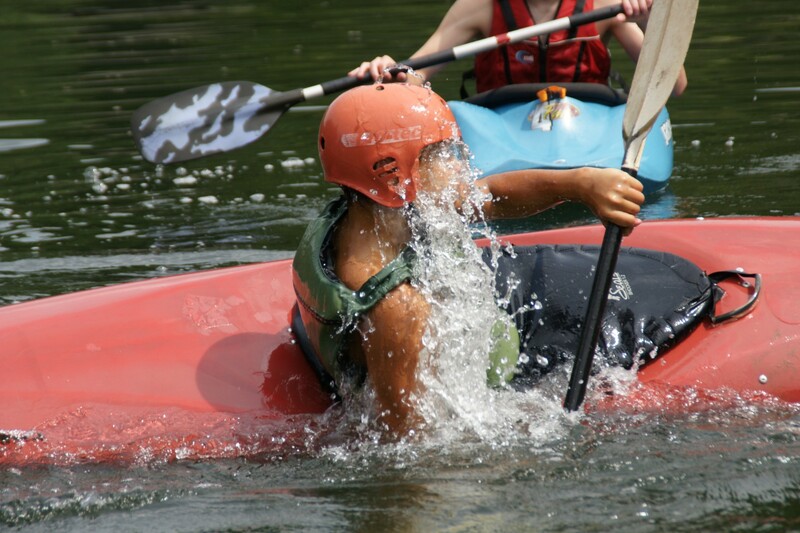 The evening activities are selected according to the campers’ ages and interests. Q. What happens when it rains? A. Basically, campers and counselors go on with their regular activities. In case of a thunder storm, all campers wait out the storm in a nearby building. Q. Please tell us about the Awards Ceremony. A. At the end of each term, there is an Awards Ceremony for all of the campers. Campers can receive Honor Roll Cards, trophies, and/or the Order of the Star. 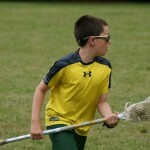 Campers earn points by demonstrating learned skills, showing improvement, and having a good attitude. Campers who earn 10 points in an activity, earn that activity’s Honor Roll. 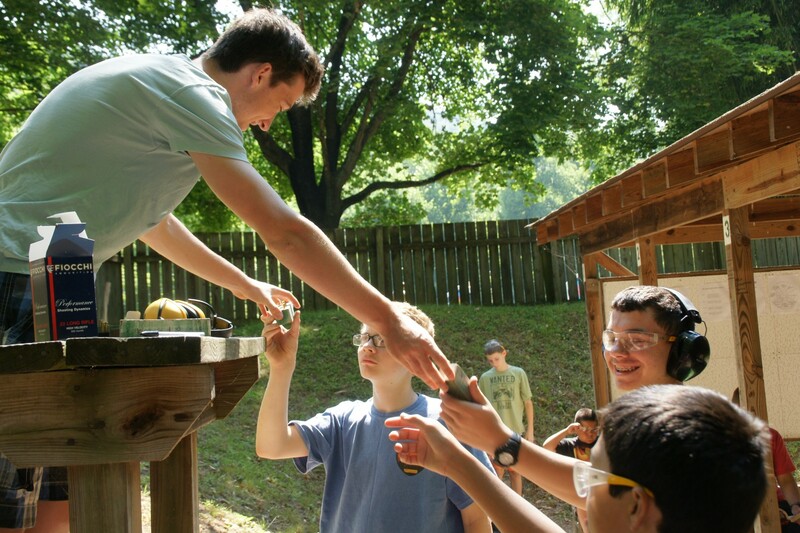 Campers who receive 100 or more points during a term are awarded the Order of the Star. Trophies are also given out for each activity. Trophies can be awarded to the camper who excels the most, or to the camper who is the most enthusiastic, or to the most improved. Q. Is transportation to camp available for campers? A. Travel instructions will be mailed to each family in mid-April. Greenbrier has buses to and from Washington, D.C. and to and from Richmond, Virginia. The cost of bus transportation is between $75.00 and $85.00 each way depending on the departure point. We can pick up campers from Dulles International Airport and Greenbrier Valley Airport in Lewisburg, WV only (no other airports). There is a $135.00 fee for the Dulles pick-up and bus to camp, and there is a $100.00 fee for the bus returning to Dulles from camp. Remember, campers who are traveling to camp through Dulles International Airport should arrive the day before the opening day of the session they are attending. Q. What about camper spending money? A. Each camper has spending money for minor items such as stamps, envelopes, snacks and drinks, tennis balls, toothpaste, batteries, etc. Each camper must have $100.00 in his camp store account. 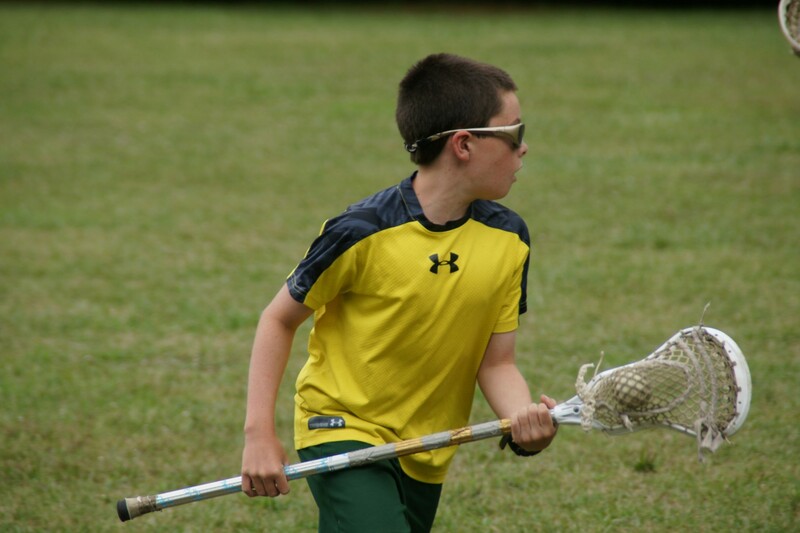 Any boy’s account money not used will be returned to the camper on the day he departs from camp. Boys may not have cash in their possession at camp. Q. What arrangements can be made for academic tutoring? A. Classes meet five days a week for one hour each day. The cost is $130.00 per subject per term (13 hours), or $260.00 per subject for the full season (26 hours). Tutoring requests should be noted on your son’s application. The camper should bring his textbook to camp along with any necessary class materials, as well as a detailed lesson plan of what is to be covered. We do not supply any texts or other written materials. Q. How is camper laundry taken care of? A. The camp fee covers the cost of laundry. Unlimited laundry is done for every camper once a week. A. Our Camp Store has a great selection of high quality baseball caps, t-shirts, shorts, and sweatshirts, which are suitable for your child to wear at home and at school. Post cards, ping pong paddles, camp stickers, flashlights, water bottles, and other items can also be purchased in the Camp Store. An order form for caps, t-shirts, shorts, and sweatshirts will be mailed to parents in mid-April. A. Each camper receives a cake and a “Happy Birthday” song from the entire camp on his birthday. Q. What is the appropriate clothing for a boy while at Camp? A. Most campers will wear a t-shirt and shorts most of the time. We urge each camper to have at least one official Greenbrier t-shirt for special occasions. Select “Families” on the menu bar and then select “Forms” to find the “What to Bring” list. Parents should tape this list to the inside of the trunk lid for easy reference. Q. What luggage should a camper bring to Camp? A. The general practice for each camper is to bring a trunk or footlocker for clothing and small articles, and a duffel bag for bedding and large bulky items. Q. May campers have visitors during their stay at camp? A. We do not allow visiting because we have found it is not in any of the campers’ best interests. Visitors may cause homesickness where none previously existed, even in a camper who merely sees another camper’s parents visiting. We do, however, want you to meet our staff and see our facilities, so we suggest you either bring your son to camp or pick him up at the end of his stay. Please understand that our position on visiting is for the well-being of all of the children. Q. Should we send packages to our son while he is at camp? A. Please do not send food, candy, or gum. In a supervised situation, the campers are able to get snacks and goodies from our camp store. If food, candy, or gum is received, it will be discarded. We suggest, in lieu of food, candy, and gum: postcards, comic books, yesterday’s sports page or comic strips, paperback books, games for Rest Hour, etc. We recommend not sending more than one package or letter every two or three days.